Home :: Engine Parts :: Briggs LO206 & World Formula :: Briggs LO206 Exhaust :: Header Sleeve WITH Clamps for LO206, Pre-cut 20"
This is not your typical low quality header sleeve! Pre-cut to 20" to fit the Briggs LO206 spec RLV 5507 header and features heavy wall braided fiber sleeve, capable of operating at a continuous temperature of 1000°F (538°C). 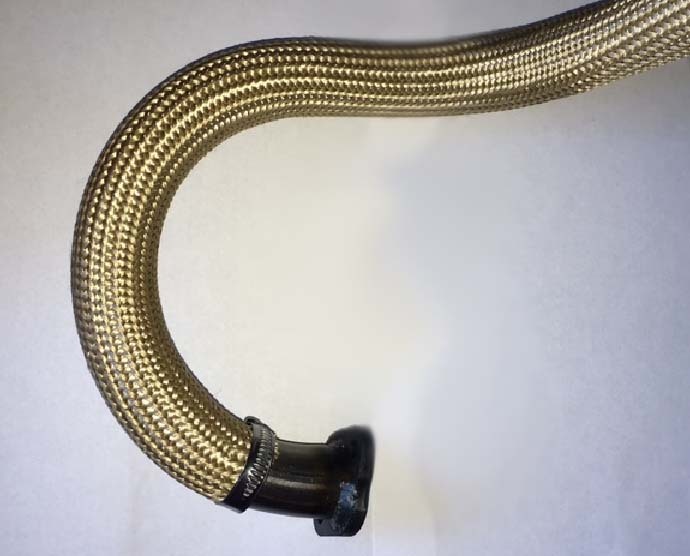 Two high quality solid band hose clamps included. NOTE: FASTECH strongly urges that the application of this header wrap to be no closer to the flange than 1-1/2” so that heat may dissipate more easily from the head.